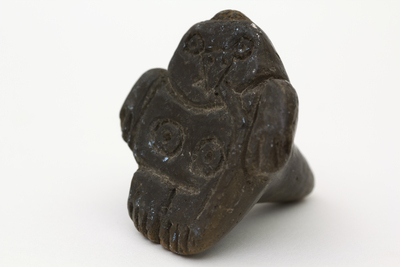 Black stone seal with depiction of female form. Object has integral handle. 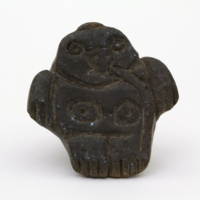 Alan Cole: Inca bird seal for cloth or clay? 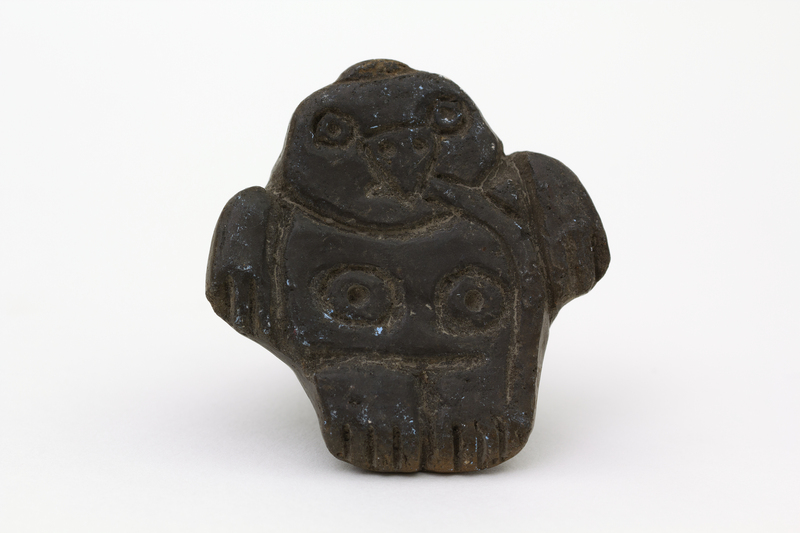 16th/17th century.